Apologies go out to my readers for my lack of postings these last couple of weeks. 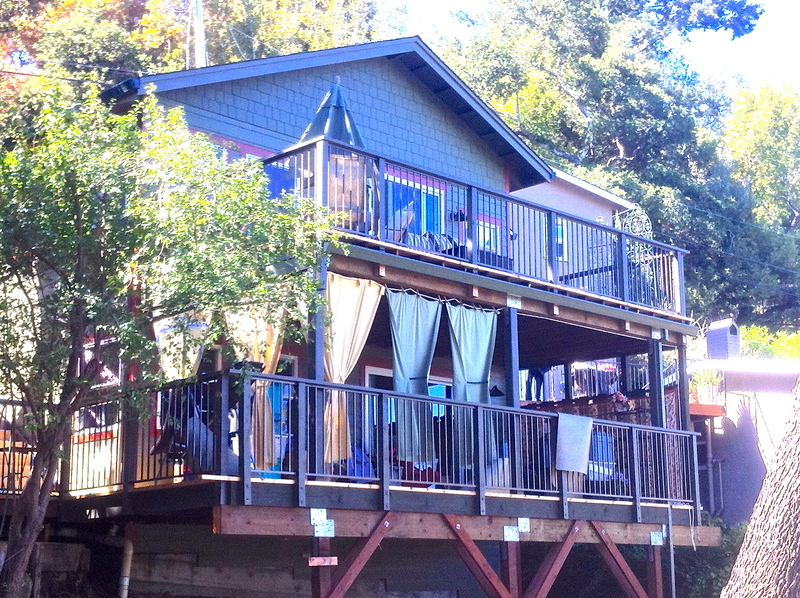 My wife and I have been swamped moving back into our home – a 1917 cottage on a hillside above Fairfax, California – that has been under renovation for the past six months. On top of that, I just got a new job after being out of the market since Casey’s suicide. Yes they still hire geezers like me out there, amazing as that seems. So the last few weeks have been like fighting off a water cannon. This week I want to share more of my research into different schools of thought over attachment theories and therapies that I learned in an interview with Dr. Robert Marvin. Dr. Marvin is the Director of the Mary D. Ainsworth Child-Parent Attachment Clinic at the University of Virginia Medical Center. He began his career as a research associate with Mary Ainsworth – an early founder with John Bowlby of attachment theory – at Johns Hopkins. For the next four decades, his work focused on attachment research, developing assessment tools for families of foster and adopted children, and intervention with families experiencing varying forms of disrupted relationships and separation. He talked at length about two groups of professionals who’d worked with children suffering attachment-related difficulties. One group emerged in the 1980’s, comprised primarily of clinicians, who took a behavioral approach to the mysterious disorders observed in children from foster care and orphanages. They developed a group of therapies, most commonly called holding therapies (where the therapist and/or parents literally hold the child in an embrace), but also known as rage reduction, rebirthing and attachment-parenting therapies. Their goal was to regress the child to an earlier age and then bring her back a whole person. Marvin believed that the mistake the clinicians made was to focus on the child’s undesirable behavior as something she did deliberately. Consequently, it had to be to controlled. But their work turned out to be coercive and controversial. These physical forms of therapy sometimes resulted in serious damage to children, including eight deaths, and landed some practitioners in prison. The second group was comprised of researchers, academics, medical school clinicians and adoption agency staffers whose work was grounded in the Bowlby-Ainsworth theory of attachment. Since the 1950’s, they’ve compiled a huge body of peer-reviewed research, which has been used in the assessment and treatment of children and families with a variety of challenges from disrupted homes. Marvin’s work rejects the notion that the child’s undesirable behavior (such as rages and tantrums) is deliberately aimed at tormenting those around her. Rather, it’s based on the premise that the child lacked an early parenting partner who could’ve helped her co-regulate her distress. Left without any soothing skills, she’d blow up when upset. He observed over the years that children neglected in Eastern European orphanages hadn’t had the thousands of interactions that parents and babies have every day, so their brains didn’t develop in the same way as “normal” babies’ brains. He believes that orphanage practices that discourage attachment with caregivers – for fear that the child will suffer when faced with letting go – are more harmful than not allowing the child to attach at all. He went onto tell me that some adoptive parents seemed to know intuitively or trip over the right way to parent these children. Many didn’t, but it wasn’t their fault. He heard from many parents, feeling unloved and exhausted from their efforts to “fix” their child, who felt they had no choice but to hand the child over to a professional. But Marvin claimed that it’s the parents whom the child loves, even though she may not act like it, and it’s the parents who need to lead the child back to a normal developmental pathway. I came away from this interview with a pretty negative impression of holding therapies, but I talked to other professionals who were not so dismissive of the practice. I’ll look at this further in an upcoming post. This entry was posted in Uncategorized and tagged adoption, Attachment, Attachment theory, Attachment therapy, Eastern European Orphanages, holding therapy, John Bowlby, Mary Ainsworth. Bookmark the permalink. John, what wonderful news about your job! It will be a good thing. With my 2 kids (one neglected, adopted at age 8, one from orphanage, adopted at age 6) we did BOTH the UVA Clinic with psychologist follow-up appts. AND Holding Therapy with an attachment specialist. The UVA approach was a massive maddening waste of time and money. They wanted us to “retrain developmental pathways” that a 1-yr-old cycles through with its mother, of exploring and nurturing, when our kids were school-aged already, and very RAD. Furthermore, the research was more important than the families. Holding Therapy created dramatic difference in our children! Many of my adoptive mom peers benefited greatly too. In fact I am doing another round of Holding Therapy with my daughter, now that she is 14. Its not coercive at this age, but very real in that she lays across my lap and looks into my eyes, and is rocked. She connects, and processes, with EMDR, and replaces bad memories with good. John, keep writing, and inspiring. Thanks Marianne. That’s very interesting as I’ve heard conflicting views about holding therapy. Are there any resources you can point me to? I’ve done EMDR therapy and found it helpful.